Our cousin Isabelle has been camping Brittany all her life. First with her parents and then with her children. She even met her husband when she was camping with her parents oh so many years ago. The north coast has two distinct coastal terrains. The Pink Granite Coast named for its beautiful pink granite cliffs and boulders, and The Emerald Coast named for it's gorgeous blue green water. A favorite for families. In Peros Guirrec, it has everything a family on holiday needs. You can rent cottages or camping pitches. It has a kids club, indoor heated swimming pool, slides, spa, bar, restaurant and shops. It's very popular with British visitors as well. She also really enjoys the area on the Pink Granite Coast between Paimpol and Trebeurden. 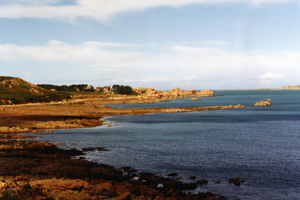 Another suggestion on the Emerald Coast is the area around Dinard and St Malo. Facilities for camping in France are rated on a 1 to 4 star system, 4 stars being the highest. The ocean here is warmer so with that you will see more people during the summer months. You'll see why, great swimming and water sports galore! 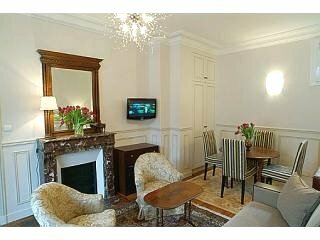 Ideally located just steps from the Golfe du Morbihan. 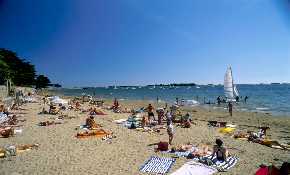 There are great camping sites around Carnac, La Trinite sur mer, Quiberon and around the Golfe du Morbihan.